Srinagar: The National Conference Saturday took out a protest march here against the intimidation and harassment of the people of Kashmir outside the valley and demanded such attacks be immediately stopped. 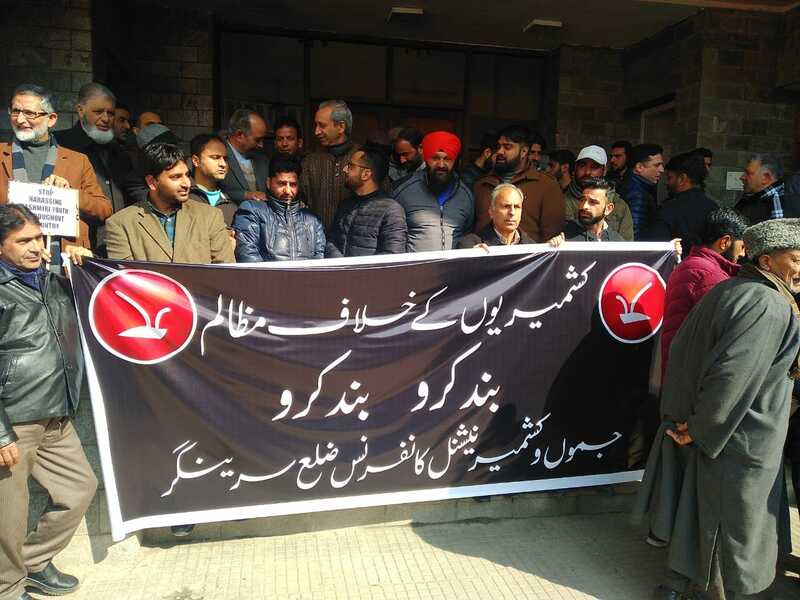 Scores of NC activists, led by party general secretary Ali Mohammad Sagar, assembled at the party headquarters ‘Nawai-Subah’ here and took out a protest march. They shouted slogans against the attacks and harassment of Kashmiris outside the valley and demanded it be stopped immediately. The protestors marched towards TRC Crossing where they were stopped by a heavy contingent of police. Speaking to reporters, Sagar asked whether the attacks on Kashmiris were part of any “political conspiracy”. “Kashmiris are being targeted across the country. Do they not think of us as Indian citizens? Why are Kashmiri students being targeted? Is it a political conspiracy? Is it being done to help some win the elections as J-K is the only Muslim-majority state in the country?” he said. Sagar said the party wants to convey to the Centre that there have been attempts to suppress the people of Kashmir in the past as well, “but the people of Kashmir cannot be suppressed”.